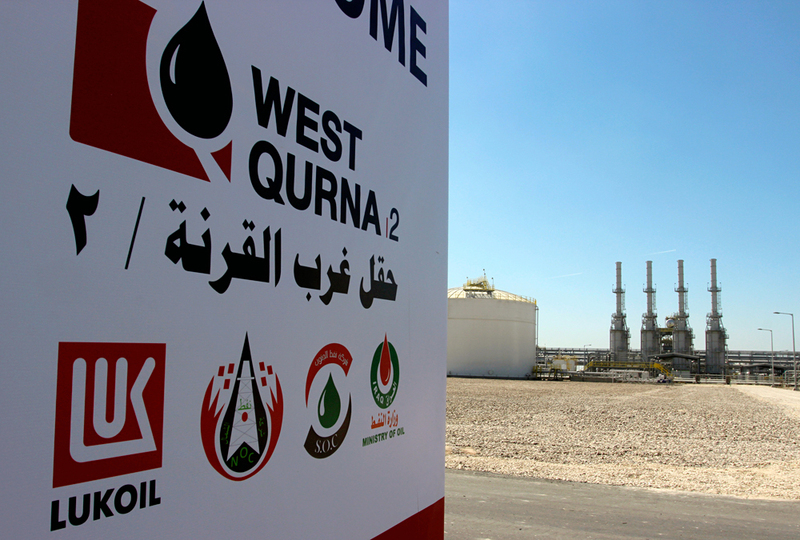 The company logo of Lukoil is seen in West Qurna oilfield in Iraq's southern province of Basra, March 29, 2014. The Russian company is renegotiating terms on some contracts with Iraq. Lukoil plans to increase oil production in Iraq and is continuing negotiations on the conditions of service contracts, the Russian oil company's president, Vagit Alekperov told Interfax after a meeting with Iraqi Deputy Oil Minister Fayadh Al-Nima on June 1. “We will,” Alekperov said, when asked if Lukoil plans to increase production in Iraq. “Negotiations are still being held [on changes to contracts]. For now we have confirmation from the ministry about its willingness to hold negotiations,” Alekperov said.